A dramatic 999 call has been released of the moment two hysterical daughters are talked through saving their father’s life when his heart stopped minutes after returning home from holiday. Guest house owner Keith Richards, 64, collapsed in his bedroom following a two month cruise around South America. But he was kept alive when calm call handlers talked his panicking family into giving him CPR for five minutes before paramedics arrived and took over. 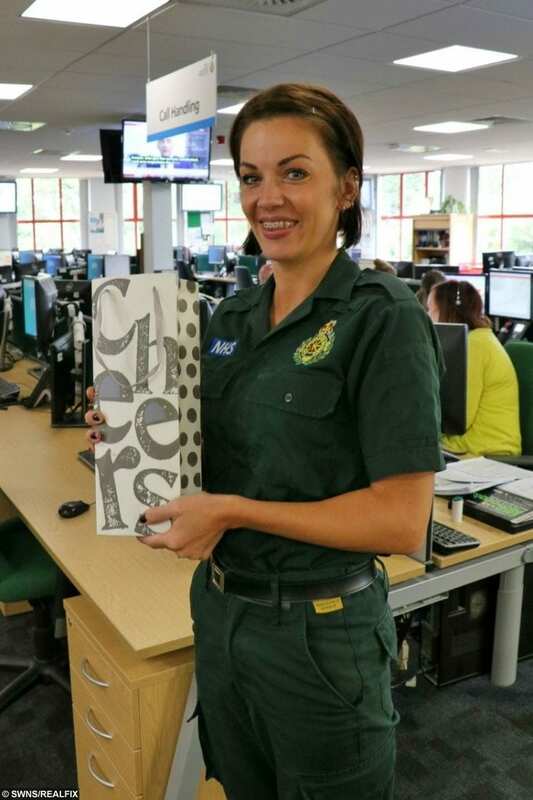 Emergency Medical Dispatcher, Hollie Eames who took the 999 call. Keith said he cannot remember driving his family home to Penzance, Cornwall, from Southampton on the day of the incident in March. He managed to carry some travel cases upstairs, before losing consciousness. South Western Ambulance Service NHS Trust has now released a recording of the call with the daughter’s frantic screams clearly audible in the background. Keith’s daughter Louise tells the emergency medical dispatcher Hollie Eames: “He’s going blue. He has collapsed in the bedroom and he is not breathing. Keith Richards, his wife Carol, daughter Louise, granddaughter Sarah-Jane and daughter Lindsay with the emergency response team who saved his life. Once ambulance crews arrived Keith was given seven shocks with a defibrillator, to get his heart beating again. He was then driven by ambulance to the Royal Cornwall Hospital and put into an induced coma. Against all the odds Keith has now made a full recovery and after three weeks of care he was back home and returned to work. 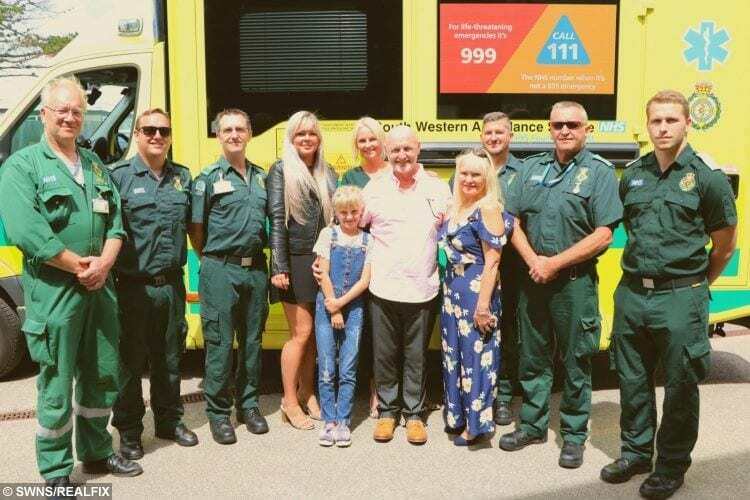 And at a special event at Penance Ambulance Station on Monday, Keith and his family were reunited with the medical team who rushed to his aid. He said: “I am hugely thankful to everyone involved on that day for their prompt response, and more importantly their resolve in saving my life in a very frightening scenario. “I have no recollection of what happened. But I gather everyone got on board, and it was all hands on deck. “My recovery was so quick. Three weeks after having a cardiac arrest, I was serving breakfast to guests. It was crazy. In a joint statement his daughters Lindsay and Louise said: “We would like to express our pure gratitude to everyone involved in saving our dad on that fateful day. 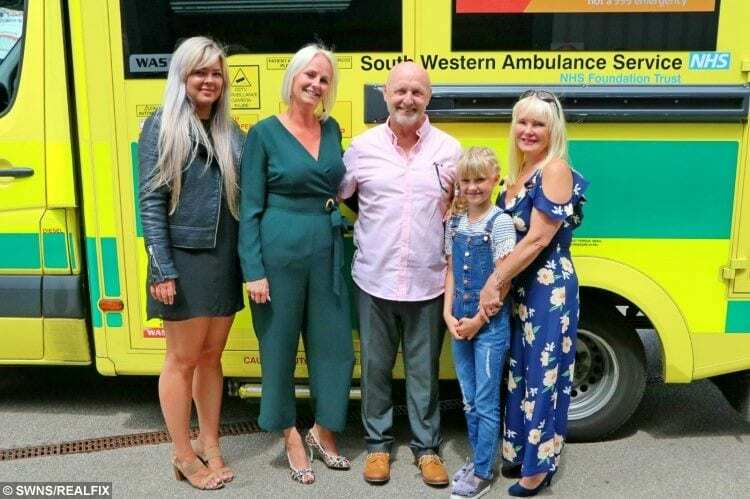 Keith Richards and his wife Carol (centre) with (from left) daughter Louise who is heard on a 999 call, granddaughter Sarah-Jane and daughter Lindsay. The initial rescue team included Emergency Care Assistant (ECA) and student paramedic Grahame Barton, paramedic Jonathan Thomas, and student paramedic Bradley Gwennap-Bawden all arrived at the scene within five minutes. 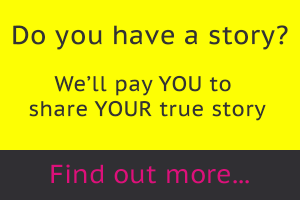 Around 30,000 people are treated for cardiac arrests in the UK every year. Just 9 per cent of people survive an out-of-hospital arrest, but their chances increase significantly when CPR is administered early.